Sharon O'Connor will autograph and personalize six of her most popular Menus and Music volumes. 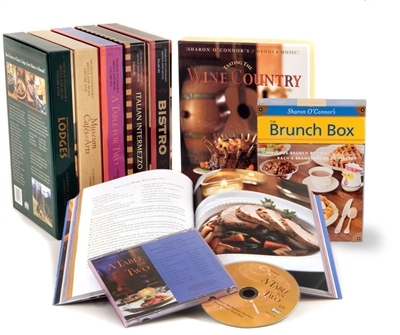 We will include a FREE MusicCooks set—The Brunch Box with this purchase! The set includes: A Table for Two, Dining at Great American Lodges, Museum Cafés and Arts, Tasting the Wine Country, Bistro, and Italian Intermezzo. Babies love the familiarity of their favorite blanket. Choose the softest, most durable blanket to provide comfort and security throughout the stages of development. 36” x 45” Folded and tied with ribbon for gift giving.